The western part of Mare Tranquilitatis. 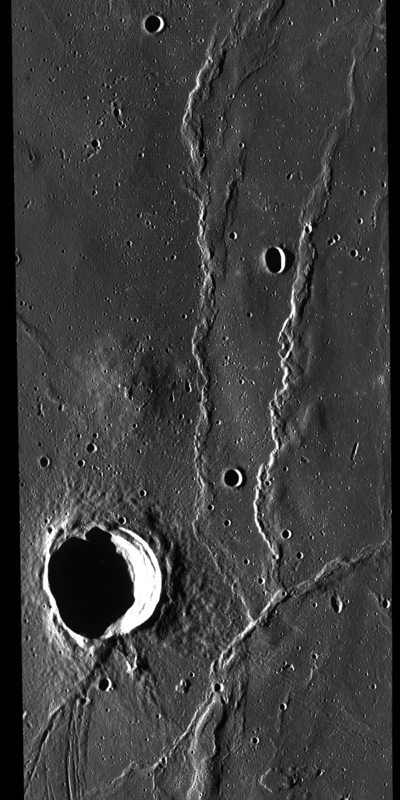 Note the remarkable system of rilles running down the western edge of the mare, and the prominent network of wrinkle ridges surrounding the formation Lamont. Also of interest are the large domes Arago Alpha and Beta, and a group of four small domes NW of Arago Alpha. This area contains the crash-landing sites of Ranger VI and Ranger VIII, and the soft-landing sites of Surveyor V and the Apollo 11 mission. Refer to your Antonin Rukl lunar atlas chart, page 97. More current EBTI can be found on Google. Simply type in the feature or crater and do an image search.